Now offering Group Afternoon Tea for private parties! 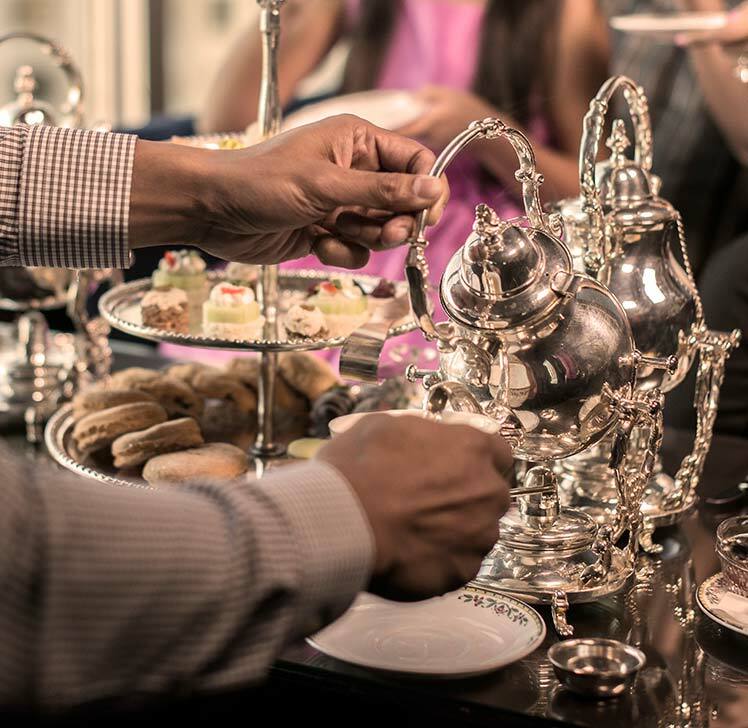 The Afternoon Tea experience at The Pfister hotel is unlike that of any other hotel. On the 23rd floor lounge of the Pfister, you will be surrounded by panoramic views of Milwaukee and Lake Michigan. Treat yourself to a relaxing afternoon of grand elegance. We are proud to offer Rishi Tea, harvested in the world’s most renowned regions and headquartered right here in Milwaukee. Enhance your experience with our selections of Essense and Bubbly. Enjoy the wonderful sounds of our live classical musicians while you sip your tea and relish in delightful table conversation. Gluten-free and vegetarian options are available upon request. We are happy to accommodate dietary restrictions with advance notice.